Domestic tourism is one of the major factors that have boasted safaris in Uganda. This is because the safaris proves to be cheaper for the nationals since it doesn’t involve air fares hence domestic tourism is so important in order to boast tourism development in Uganda. It’s noted that in order to encourage domestic safaris, Kampala will be hosting some colourful events this year that will help in attracting more tourists to do domestic safaris. This will also include the 18th anniversary of Toro King Oyo’s coronation. The tourism minister said recently, the programme will begin with the official launch of Domestic Tourism drive on August 29th 2013.This comes against a backdrop of numerous cancellations by foreign visitors due to the recent reinstatement of 18% VAT on several tourism inputs. Mutagamba said they had received several intentions from tourists through their agents. “We’re working out a win-win situation with our visitors. This VAT on upcountry lodges that was brought up in the National Budget is now a big problem to us. Our visitors have threatened to sue us and others have cancelled their trips due to this VAT,” Mutagamba said. The 18% VAT has greatly affected many safaris to Uganda and this has affected the development of tourism in Uganda and in order to limit the, domestic tourism has to be promoted in order to encourage the nationals to participate in tourism development by taking up safaris to the main tourist attractions. There are activities that are to start promoting domestic tourism; these were noted by Hon. 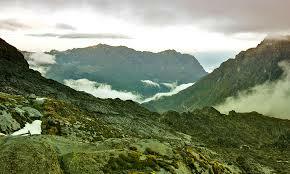 Maria Mutagamba, the minister of tourism, The King Oyo Empango Celebrations take place on September 7; there is also Mt Rwenzori Climbing Challenge the following day and a tourism exhibition will be organized at Booma Grounds in Fort Portal from September 24th to 27th. More so, chimpanzee tracking and bird watching has been arranged in the Kibale National Park on September 26th before the climax of the events at Boma grounds Fort Portal on September 27th. All these activities are aimed at promoting safaris domestically.